Any traveller hoping to visit Japan knows that the country’s incredible cuisine is unlike any other. From delicious delicacies and hearty comfort food, and from high-end sushi restaurants to rustic street food stalls, there are so many different types of Japanese food to discover. If you’re planning to take a Japan tour you’ll no doubt want to sample a taste of the country. But where to start? With our handy infographic and introduction into Japanese cuisine, you’ll soon be able to order delicious Japanese food like a professional traveller! 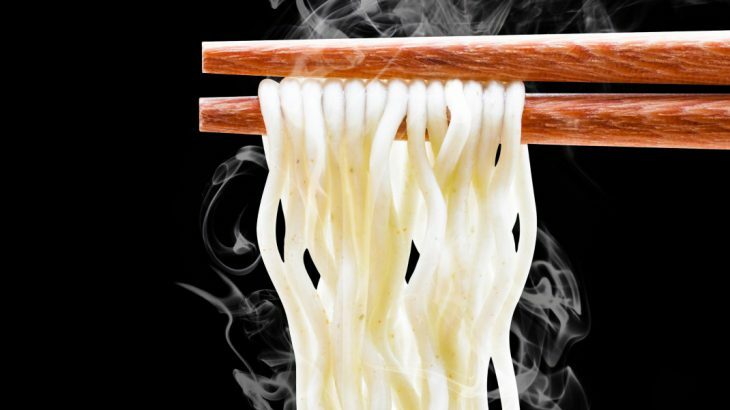 Noodles are a staple part of Japanese cuisine. They are served hot, cold, in soups, or as a standalone meal, sometimes with a dipping sauce. Sushi is a delicious dish of seasoned and vinegared rice shari combined with seafood or vegetables as a topping neta. Narezushi was an essential source of protein for the Japanese, it consisted of salted fish that was stored in fermented rice to keep the fish from spoiling. 0 AD to 14th century – The rice that stored the narezushi was discarded, but Japanese people found that adding vinegar to the rice negated the need for the fermentation process. Maki means ‘rolled’ and is formed by rolling in a bamboo mat. WHAT A MOUTHFUL In general, you are supposed to consume a piece of sushi in one bite so as not to destroy the chef’s beautiful work. Many Japanese dishes are influenced by Portugal. In the 16th Century, Portuguese trade ships reached Japan and introduced refined sugar, which heavily influenced what we now think of as traditional Japanese confectionery such as Castella sponge cakes kasutera and keiran somen (known in Portugal as angel hair). TEMPURA! This Japanese staple food originated in Portugal! In 1543, sailors introduced peixinhos da horta, small pieces of vegetables fried in batter, which became Japanese tempura. TABLE MANNERS If you’re eating or drinking from a small bowl, you should move the bowl close to your mouth. Dishes served from large bowls should not be picked up. They have been around since at least 737 AD! EAT UP! It is considered bad manners not to finish every item of food on your plate, even to the last grain of rice. Bear this in mind when serving yourself from a shared dish. Green tea is a popular and refreshing beverage drunk commonly across Japan, China and the rest of the world. In Japan, green tea is the only tea that is commercially produced, Japan does not produce any black tea. If you’re still hungry for more, check out our other articles related to Japanese food including the best places to eat sushi in Japan and the top five dishes to try in Japan. Japan culture, facts, food and drink. permalink.